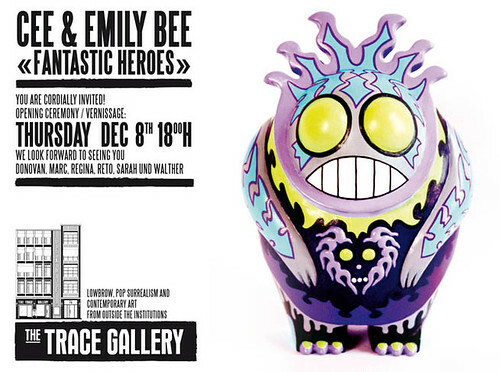 ‘Fantastic Heroes’ opens on December 8th at The Trace Gallery in Zürich, Switzerland. 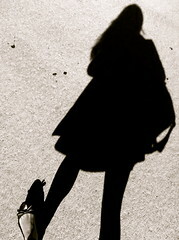 It’s a two person show with me, and the artist Cee. I will be showcasing new vinyl, plush, canvases and prints. Cee will be showing illustrations, drawings and prints. I’m super excited about this show as I have a large amount of new work to unveil, and I will be there on opening night! The show runs through the end of December. This little guy was created for the custom group show ‘Beware Tall Grass’, held tonight at Kidrobot London! He was inspired by a little fiery Japanese monster. Stop by Kidrobot London (19 Earlham Street, WC2H 9LL) if you’re in the area. 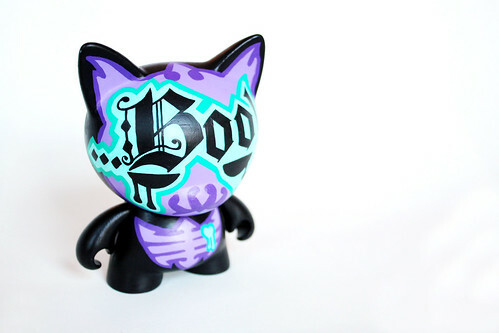 Boo is my latest vinyl custom, created for Sneaky Raccoon‘s ‘Tales From The Sneaky Crypt’ group art show celebrating her 5 year anniversary. Each artist was asked to create a custom with a 4″ Munnyworld toy, so I used Trikky as my base. The theme was Halloween since all the customs had to fit into the world of Sneaky’s Crypt. I kept the colour scheme fairly simple because I wanted it to look like Boo was a spirit that was floating overtop of a black background. I also incorporated typography into the facial design. If you’re interested in adding Boo to your collection, he’s available for purchase here. Boo came to an untimely end after the mice which lived in the Sneaky Crypt devised a plan to avenge their eaten population by lacing a catnip plant with poison. When Boo came across the intoxicatingly aromatic plant, the scent plunged him into a hallucinogenic death. Boo’s spirit now haunts the crypt in a daze, looking to devour all the remaining mice.